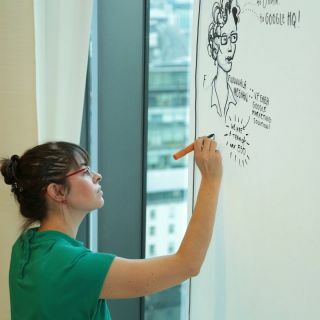 I am a live illustrator- I specialise in visualising the key messages at live events and making them creative, engaging and shareable. I work on paper and digitally. I like to work large scale. I also create visuals in advance for events, for example giant colouring in posters.